Since protests first broke out in Nicaragua on April 18, the international community has witnessed an inexcusable escalation of violence against citizens by police, government-sanctioned paramilitaries, and pro-government Sandinista mobs. The mid-April protests over proposed reforms to the Social Security System initially saw three deaths—an estimated 200 people have been killed since. The protesters’ demands, which initially called for reversing social security reforms, have since evolved to demanding President Daniel Ortega’s resignation after his 11-year rule. Protesters allege systematic abuses of power by Ortega, Vice President Rosario Murillo—Ortega’s wife—and their party, which have gradually dismantled democratic institutions in the country since President Ortega’s return to the presidency in 2006. After a month of protests, Ortega and Murillo agreed to enter into talks with the opposition, “Civic Alliance,” which is comprised in part by the students who organized the initial protests. The talks were mediated by bishops belonging to the Episcopal Conference of Nicaragua. However, they quickly broke down after the government failed to abide by the opposition’s demands that it cease using violence against protesters, particularly after the bloody events of May 30. Having controlled the city of Masaya for several weeks, protest leaders announced on June 18 their intention to break away from Ortega’s rule and form an independent commission to govern the city. However, the following day, government forces stormed the city and regained control, killing six in the process. Despite having attempted to reengage the government in dialogue, the Episcopal Conference once again suspended talks in the context of continuing state repression against protesters, and the government’s failure to invite representatives of the Inter-American Commission on Human Rights (IACHR), the Office of the UN High Commissioner for Human Rights, and the European Union to investigate protester casualties. In light of these disturbing events, the World Movement for Democracy once again strongly condemns all acts of violence and intimidation against peaceful protesters in Nicaragua. 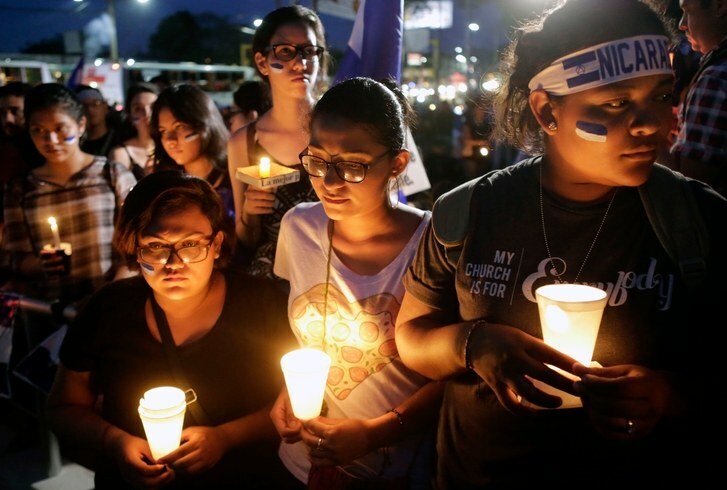 Additionally, it calls on Nicaraguan authorities to allow for members of the international community to investigate the reported extrajudicial killings, unlawful detentions, and disappearances of dozens of Nicaraguans over the last two months.